An opportunity has arisen for a Company Accountant within an international business based in Dunblane, near Stirling. You will join a well-established specialist recruitment group operating in the oil & gas industry. The organisation is the preferred talent partner to operators and service companies around the world. Management of the financial side of the contracting division and liaising with bankers, auditors and regulatory authorities. An experienced accountant with excellent people skills who is looking for their next challenge within a dynamic and growing group. You will be a qualified or part qualified ACCA/CA with a financial reporting background. Consideration will also be given to candidates qualified by experience. You will be a team player and an individual who is eager to work on their own initiatives and take ownership of tasks. You will have an advanced knowledge of SAGE line 50, Excel and Word together with excellent communication and time management skills. You will work for an organisation that has an excellent reputation in their market offering excellent working conditions. You will work closely with the management team and group financial director. Salary will be commensurate with experience. 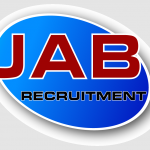 Clicking submit will submit your full profile to JAB Recruitment.